The cryptocurrency usage is extremely popular among the millennials who see it as the currency of the future. Millenials do everything with the help of technology and apps. Whether it is about ordering food online, hiring a taxi or finding employment, millennials find it much more convenient to complete these tasks using their mobiles. Simon Yu, the CEO of blockchain startup StormX, explained the reasons behind the popularity of cryptocurrencies among the millennials. He believes that millennials are open to adopting new technology in order to create more opportunities for themselves. Chris Castiglione, the co-founder of One Month, noted that the young people are in a better position to take risks in an industry known for its volatility. He believes that people who are 40+ are more likely to have settled down with a career and family while millennials are still open to experimenting with new ideas like blockchain and cryptocurrencies. If millennials are indeed the movers and shakers in the cryptocurrency markets, then we can be certain that cryptocurrencies will be around for a very long time. Charlie Shrem is a Bitcoin pioneer, a social economist and digital currency trader. His work in this field is legendary. 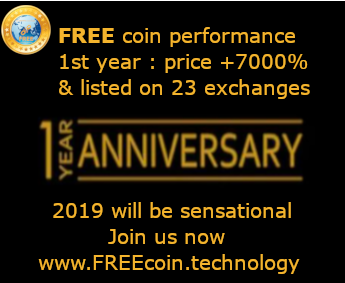 In 2011, at the dawn of the crypto era, he founded BitInstant, the first and largest Bitcoin company. In 2013, he founded the Bitcoin Foundation and serve as its vice chairman. Since then, Charlie has advised more than a dozen digital currency companies, launched and managed numerous partnerships between crypto and non-crypto companies, and is the go-to guy for some of the world’s wealthiest entrepreneurs. In short, he is the ultimate insider at the epicentre of the crypto universe. 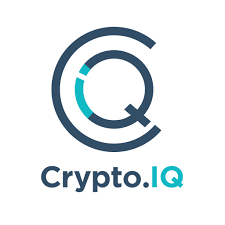 Crypto.IQ is a premier advisory firm providing expert research, education and advice in the world of crypto assets. The company is unique in that it combines the unparalleled expertise of crypto pioneer Charlie Shrem with the unparalleled market knowledge of three Wall Street experts with more than a century of combined financial industry experience. Together, they have managed and traded more than $1 billion in assets. In a world of "instant experts," who have little knowledge or trading experience, the Crypto.IQ team offers the proven depth, insight and knowledge to help their clients achieve success. Raise your Crypto.IQ…and profit! Crypto.IQ gives you the insider knowledge you need to succeed as a cryptocurrency investor.